"Chris Wilder will be keen to take three points from the visit of Millwall and hope that when the music stops they are above Leeds in the hunt for the promised land. For a couple of hours, at least, they could reclaim second spot, with Leeds playing Sheffield Wednesday in Saturday's 5.30pm match." As the musical chairs game for an automatic promotion berth continues to yoyo between Leeds and Sheffield United, it is the Blades who enter Saturday with ground to make up. After Leeds had beaten Preston on Tuesday, Sheffield United could only play out a 1-1 draw with Birmingham on Wednesday. 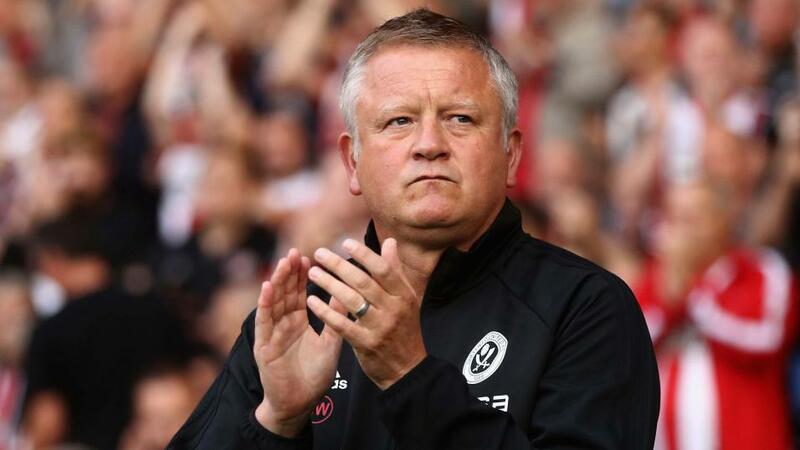 It's between the two Yorkshire sides for a Premier League berth and Blades manager Chris Wilder will be keen to take three points from the visit of Millwall and hope that when the music stops they are above Leeds in the hunt for the promised land. For a couple of hours, at least, they could reclaim second spot, with Leeds playing Sheffield Wednesday in Saturday's 5.30pm match. The visit of Millwall should fit the bill, despite the Lions fighting for their lives at the wrong end of the table. Millwall drew with QPR on Wednesday, but Neil Harris is looking at a tough set of games until the end of the season. The Lions have lost just one of their last six away league matches against Sheffield United (W2, D3, L1), but they haven't kept three consecutive clean sheets since March 2018. Sheffield United have won seven of their nine home league matches against London teams under Wilder (W7, D1, L1), winning both this season against QPR and Brentford. Millwall have lost all four of their Championship matches in Yorkshire this season, losing by a single goal each time. With only two points separating Millwall from the relegation zone they need to up their game but with only three wins in 17 away games this season the omens are not good. There are bound to be nerves amongst the home faithful. There can be no room for errors at this stage of the campaign, but Sheffield United to win and over 2.5 goals is the way in at 2.58. If you have just put two tremendous shifts to end a five-game losing streak with a win over Leeds and a draw against Sheffield United then the trip to Portman Road has got to be seen as easy pickings. The Blues supporters can breathe more easily after suffering a points deduction that hurled their side right back into the relegation mix. This could be described as a must-win game for Ipswich, but whether they take three points against Birmingham, or not, they are down. That relegation will be confirmed if they fail to beat Birmingham. The Tractor Boys have been playing in the second tier of English football for 16 successive seasons and have shown little fight in their bid to stay there. Ipswich have not won at home in the Championship since their 1-0 success against Rotherham on 12 January. Since then, three defeats and three draws, where they have failed to score more than one goal on any occasion, shows why they will be operating in League One next season. Paul Lambert's side have been beaten 22 times in the Championship this season, their worst return since their 1994/95 Premier League effort. Birmingham appear to have been woken up by their points deduction. Che Adams is scoring goals again after a relatiive drought after adding his 22nd of the season in the win over Leeds. Play Birmingham to win and Che Adams to score at 3.68. Frank Lampard's Derby, as they are now known, could have done without Tuesday night's surprising 2-0 defeat away at Blackburn. Now down to eighth in the Championship table and five points adrift of in-form Bristol City the Rams must secure three points against relegation-bound Bolton. Bolton lost to a Boro side that have been in terrible form of late and are now doomed to a descent to League One next season. Phil Parkinson's men have been beaten on the pitch and are in the news daily for their financial woes off it. Relegation seems the fitting finale for Bolton's travails. Lampard will be looking for a response from his side and it should come. Derby have scored at least three goals in their last three home matches against Bolton in all competitions. Derby's home form has been strong, suffering defeat just once in their last 11 matches at Pride Park. Derby to win and over 2.5 match goals seems a sensible play and the price of 2.22 is a steal.